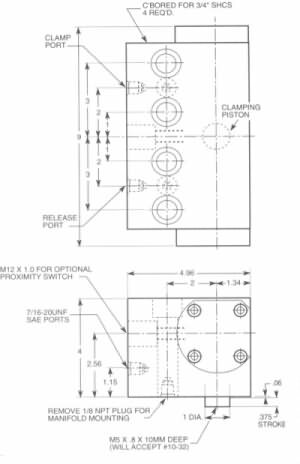 The Jergens Large Capacity Mold Clamp is used on molding machines and wherever heavy clamping forces are required. It has a clamping force of 28,000 lbs. The clamp can be mounted either individually or in series on a manifold.